The Virgin Mary in the Light of the Word of God fills a tremendous need for a concise, elegant, Biblical treatment of Mary. Dr. Labib, as he is affectionately known, gives Mary her due full honor while fending off the many faith-damaging myths perpetuated about her. This book is full of truth. Please read, enjoy, and let this book minister to your heart for the glory of God and the furthering of His kingdom. The Virgin Mary in Light of the Word of God is an elegant and comprehensive book on what the Bible has to say about Jesus’ mother Mary. Originally published in Arabic, and then Spanish, it has already received distribution in Africa, South America, and the Middle East. Even now, Dr. Nasser Farag is distributing an advance copy of the English translation to several leaders on the mission field in Africa. Nordskog Publishing is pleased to present the finished English language edition. In The Virgin Mary, Dr. Labib Mikhail makes an important contribution to Christian literature as he systematically identifies the Scriptures concerning blessed Mary, the mother of Jesus, and draws Biblically sound conclusions. As you will read in the biographies, author Dr. Labib Mikhail, and his literary partner in this work, Dr. Farag, each have an amazing lifetime of accomplishment in God’s Word, in living for Christ, and in educational, missionary and evangelism work over many fields of service around the world. Their depth of accomplishment and Biblical wisdom reveal themselves in the elegant style and pointed message of The Virgin Mary. Dr. Labib, over the traditions of men, fervently teaches the Holy Bible as the very Word of God. In this, he provides a tremendous ministry to those who rely on tradition at the expense of Biblical truth. The tradition-imposed diminishment of power for godly living a1nd the resulting lack of blessings can be effectively countered by this clear enlightenment from God’s Word. As the book reveals, the veneration of blessed Mary by the churches has led to the wrongful conclusion by Muslims that Mary is a person of the Holy Trinity. While this notion is clearly untrue, Mary’s veneration in the traditional churches nonetheless adds weight to the erroneous conclusion that Christianity is a false religion which denies the oneness of God. Moreover, in the traditional churches themselves, dependency on Mary as an intermediary at the expense of a personal relationship with Christ has demoralized many Christians who by that choice deny themselves the power of the Word of God and the true Gospel. For those not well acquainted with but interested in Christianity and its true historic beliefs, you will find a straightforward declaration of the Gospel of Jesus Christ that leads to salvation and the abundant life that our God always intended for mankind, through the saving and sanctifying work of Jesus Christ. For the committed Christian, you will find an edifying presentation of the true Gospel and of sound doctrine. The Virgin Mary in Light of the Word of God is an eminently worthwhile book for every reader. It is not burdensome. No esoteric theological language here, this book is accessible to anyone who seeks to know the truth regarding the great figure of blessed Mary, the sound reasons to honor her and emulate her faith and character, and the glorious Good News of Jesus Christ from Mary’s point of view. for the glory of God and the furthering of His kingdom. This book is short, elegant, and filled with sound, Biblical truth. The style it is written is very appealing to me. It seems to be a humble book, not filled with statements exaulting the author but only simple presentation of facts. The fact that it was published first in Arabic, the language I am learning, is fascinating to me. That might not matter to most people, but I was intrigued by it. The main thing one should know when thinking about buying this book is, the author does not care about the traditions of men but about the Word of God. That means that if you where taught to worship Mary or pray to her, you might not like what you will read. But I can assure you that the words in the book are only telling the readers what has all ready been said in the Holy Scriptures. One thing in the book was the author’s complete reliance on the Bible for his arguments. It was very refreshing to read a book written like this one. Not to ruin the surprise but the author is against the worship of Mary, the saying of prayers to her, and giving her divine-like powers. The book was a great read and I would, and have, recommend it to my friends. And for the price that you can buy it for, it is definitely worth the money. I received this book free from Bookcrash. I was not required to write a positive review. These opinions are my own. Far too long Mary has been put above her actual standing as an ordinary girl used my an Extraordinary God to accomplish an Amazing task – bringing into this world the Son of God. In fact before reading this my husband and I sat discussing the very fact that so many hold Mary in such high esteem, often taking her out of her actual roll and placing her in an exalted status. To still be a virgin this woman had only to become the bearer of the child of God (or in modern terms the surrogate mother). No part of Mary was in the Christ for if it were so then it would be against scripture as Mary herself was of the fallen creation and thus born into sin itself. Therefor she was the vessel God chose to use to accomplish a feat that had to be done in order to save this wretched state of mankind. Dr. Labib Mikhail does an excellent job bringing out relevant scriptures to counter the current views of Mary and to set her in the correct place of mankind. There is nothing extraordinary about her except her willingness to be a part of something greater than herself. 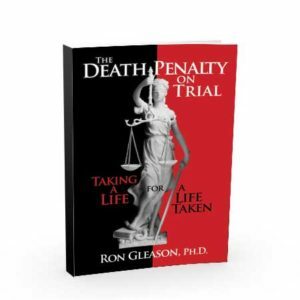 I found the book extremely informative and enjoyable to read. I look forward to more books by this author. In this outstanding book, the author Dr. Mikhail and his contributor Dr. Farag have examined the intercessory functions, miracles, and titles ascribed to blessed Mary the mother of Jesus, and they set forth a brilliant defense and description from Scripture of the ministries of the Lord Jesus Christ. For all who work in the Muslim world, this book is a must- read. It clarifies misunderstandings about the triune God—Father, Son, and Spirit—while giving due and proper honor to Mary. Dr. Don McCurry Author, and worldwide speaker; active in international missionary training programs in Colorado and Spain. Now living in America, the author is originally from Egypt where, while growing up, he attended what he refers to as a “traditional” church in which devotion to and adoration of the Virgin Mary was practised. Dr. Labib (as he is affectionately known) accepted unquestionably the aberration of Mariolatry. Dr. Nasser S. Farag, (Salib Farag’s son and Dr. Labib’s “adopted spiritual son in the Lord”), asked Dr. Labib if he could translate The Virgin Mary In the Light of The Word of God, (which was originally in Arabic), into Spanish and now into English. Dr. Nasser S. Farag has included his own, as he says, “additions and adaptations that address the situation of pertinent Catholic beliefs about the blessed Virgin as I experienced them in Latin America, the Caribbean, and Africa south of the Sahara.” Dr. Farag’s “additions and adaptations” are so well integrated that they complement Dr. Labib’s commentary with the result that this body of work is as a seamless garment. The title: The Virgin Mary In the Light of The Word of God is a terse summary of the book’s contents, which consists of a Dedication; a Word of Tribute; a Foreword; an Introduction; Twelve chapters followed by a Conclusion. At the back of the book there is a useful and informative “Lexicon of Leading Ideas” compiled by Ronald W. Kirk; a Bibliography; the words to a beautiful song called “Mary, Did You Know?”; a word about the author and also about Dr. Nasser S. Farag (the translator and contributor to the Spanish and English editions). The book is completed by a Word from the publisher, Gerald Christian Nordskog. The Virgin Mary In the Light of The Word of God is well written in fast flowing and easy-to-read English. Abstract and abstruse theological terminology has been avoided, yet deep Biblical concepts are handled with clarity and anticipatory thought. Most questions that may arise in the reader’s mind at the outset of perusal are subsequently dealt with. One can clearly hear the swishing of the sword of the Spirit as Dr. Labib, (emulating his Master undergoing His temptation by the devil in the wilderness), deftly answers the false teachings about Mary with surgical precision. He handles the Word of God as a workman unashamed. Dr. Labib seeks not to kill, but rather desires to remove the cancer of false teaching. If toxic doctrine anywhere poisons the Christian system it can only be flushed out by large doses of the truth. If Dr. Labib wounds the reader, he is quick to pour in the healing balm of the Gospel! The book is far more about building up than tearing down. As to the book’s premise, Dr. Labib says, “[M]y reason for writing this book is to give the reader who is searching for the truth the clear picture that the Holy Scriptures give about the Virgin Mary.” (p. 2). Thus the content of the book is Dr. Labib’s refutation from Scripture of all the extra-Biblical and demonstrably false teaching about Mary the mother of Jesus. Notice toward whom Dr. Labib is aiming his well-directed shafts of Biblical light: “the reader who is searching for the truth.” Thus Dr. Labib’s intended audience is identified. Dr. Labib goes on to say, “An old saying goes, ‘Try to convince a man against his will and he will stick to his position without retreat.’ This applies to the natural man, but the true Christian who has received God’s salvation and the indwelling of the Holy Spirit accepts whatever God’s Word says and refuses any traditions of men that contradict it.’” (p. 33). Here one is reminded of the Bereans (as alluded to in Dr. Labib Introduction to the book) who “received the word with all readiness, and searched the Scriptures daily to find out whether these things were so” (Acts 17:11). Thus Dr. Labib has taken to heart Christ’s pointed rebuke of the Scribes and Pharisees for “making the word of God of no effect through your tradition which you have handed down” Mark 7:13. In his native Egypt Dr. Labib has seen firsthand the long-term consequences of letting tradition spread unchecked. As a Christian believing in the living and true God who is Triune, i.e., the Father and the Son and the Holy Spirit, it is Dr. Labib’s view that “the tradition of men” regarding Mary has resulted in much confusion about the Triune God and Christianity – especially among Islam. If we remember that this book was originally written in Arabic with Islam firmly to the forefront of Dr. Labib’s mind, we will see the relevance for such a book to be translated into English., since Islam has been making so many inroads into Western society today. Dr. Labib has handled well issues such as the various titles some of the traditional churches have given to Mary, for example, “The Mother of God”; “Queen of Heaven”; “Jacob’s ladder”; “The Bride”; “The Beautiful Dove”; “The Door”; “The Holy of Holies”. He also deals with Jesus’ relationship with Mary”; Jesus’ “true Father”; Jesus’ “brothers and sisters” as well as the supposed appearances and miracles of Mary. Dr Labib also tackles that view of Mary as “Mediator,” saying, “Some traditional churches believe that Mary can mediate and intercede on our behalf to God.” (p. 43). After listing the qualifications of the Scriptural mediator, he then goes on the show from Scripture how Mary cannot be the Mediator and how this title properly applies only to Christ. Indeed! The Virgin Mary In the Light of The Word of God is a good and interesting read. It is well written, clear, and concise. It covers many if not all of the unbiblical teachings regarding Mary, aberrations that have crept into branches of the Christian Church and are now defended by them. Dr. Labib does not enter into an argument with the reader, rather he simply reasons from Scripture. He gives Mary her due honour without worshipping her. The book concludes with an urge for the reader to repent of false beliefs and believe in the Gospel. Who needs to read this book? I believe that all who love truth will benefit greatly from reading this book. In the English speaking world, Roman Catholics and High Anglicans who emphasise Mary will be rewarded if they simply test Dr. Labib’s teachings against Scripture, indeed, as will all Christians. Those of us who wish to understand and engage Moslems with the truth about Jesus and Mary – the Gospel – will also be blessed greatly, since the book originally was written in Arabic with the followers of Islam the book’s intended audience. And last of all, this book is educational for any who can read English, believer and unbeliever. 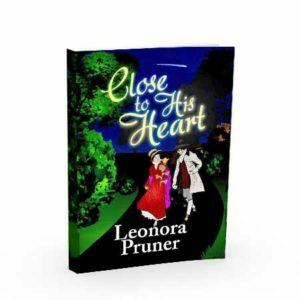 It was a delight to review this book! Says Dr. Nasser S. Farag of Dr. Labib, “I am deeply grateful to Dr. Labib Mikhail for allowing me to translate his Arabic book into English and Spanish, and for allowing me to make additions and adaptations that address the situation of pertinent Catholic beliefs about the blessed Virgin as I experienced them in Latin America, the Caribbean, and Africa south of the Sahara. Thus this message virtually becomes relevant to Christians worldwide, including concerned evangelicals.” (pp. xv-xvi). It is my opinion that this book IS needed throughout the world! We finish this review with a wise final word from Dr. Labib, “The only base and reference by which we draw closer to God is the Holy Bible. 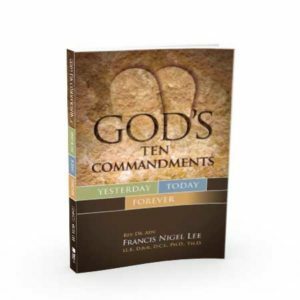 The secret behind the decline of true faith that has taken place in the nominal Christian church is a result of neglecting and putting aside the Word of God, and following, instead, the traditions of men.” (p. 101). Mary, mother of our Lord and Savior, Jesus Christ, just cannot seem to get a fair shake. On the one hand, you have members of traditional churches who ascribe a level of adoration to her that is simply blasphemy. On the other hand, you have some reactionary Christians who are almost dismissive as to her role as the earthly mother of Jesus. There is only one fair assessment of who Mary, wife of Joseph the carpenter was, and that is a godly woman who is truly blessed, even nearly two millennium after her death. And that assessment can be found in one place: God’s word, the Bible. Not in the vain teachings of men nor in the opinions of pundits and prognosticators. Rather, in the books of the Bible beginning with a prophecy found in Isaiah 7:14 and later fulfilled in the gospels. Dr. Labib Mikhail is not a pundit or prognosticator, but he is a biblical scholar who took on the task of taking a look at Mary, mother of God (in the flesh). is well acquainted and experienced in the teachings and practices of the traditional churches and has studied extensively the writings and theology of the famous fourth century theologian, Saint Athanasius of Alexandria, Egypt, who helped to clarify the early doctrines of the Christian church. He is the author of eighty books in Arabic, English, and Spanish, several in their fifth printing. Dr. Nasser S. Farag passed on to the glorious presence of the Lord on Nov. 18, 2013. He was the translator and contributor to the English edition. He studied in Egypt, Holland, and the USA, and has been a longtime missionary/professor. He authored a non-confrontational apologetic/evangelistic book that expresses the ultimate greatness of God only in Christ which has been distributed widely in English, Arabic, French, Spanish, Turkish, Hindi, Oriya, and Swahili, with Farsi to come. His last last book, What Account will we give Him? 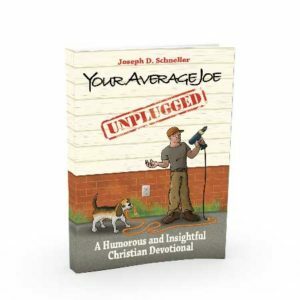 : A Reminder for Christian Leaders has recently been printed posthumously. We warmly welcome this book, which applies the searchlight of the Bible to the facts about the role of Mary. Today’s seekers and believers will benefit from the clear presentation in this excellent book. With so few informative books focused on the mother of our Lord, it is encouraging that a Biblical Christian has put in countless hours to make more information available. 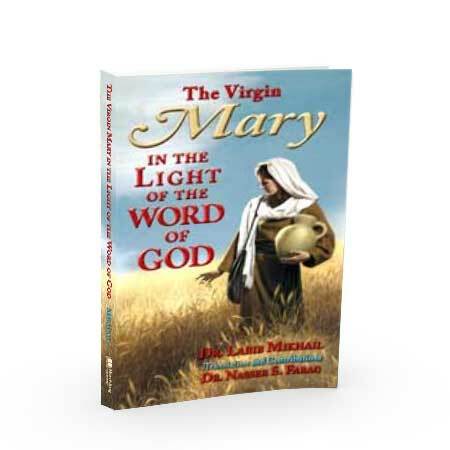 The Virgin Mary in the Light of God’s Word by Dr. Mikhail not only presents valuable information on Mary, it exalts Christ Jesus as the only Way, Truth, and Life! This is a relevant study clarifying Mary’s role and significance that should be read alongside F. J. Moloney’s Mary, Woman and Mother and Jaroslav Pelikan’s Mary Through the Centuries. I highly recommend it as a balanced and Biblical portrait.